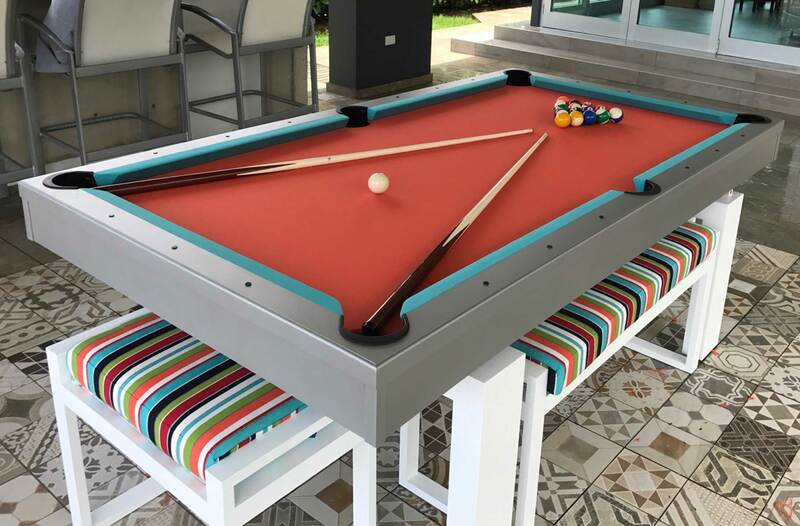 Ready to Buy Your Custom Outdoor Pool Table? As Arizona's Largest Pool Table Dealer, Diamondback Billiards Offers a full line up of U.S. Made Outdoor Pool Tables. See just some of our tables below. Call for more information 480-792-1115. As Arizona's Largest Game Room & Pool Table Dealer, Diamondback Billiards Supports U.S. Game Table Manufactures by stocking and offering a line up of high quality pool tables. Built to last your family a lifetime of use. Let us help your build your tables to exacting standards, and as always, with quality and durability in mind. Since Our tables are manufactured in the U.S. our tables the options are wide open and only a call away. Got a great idea about your custom table. Call us! Call our custom outdoor pool table experts at 480-792-1115 and get fitted to the perfect table for you.